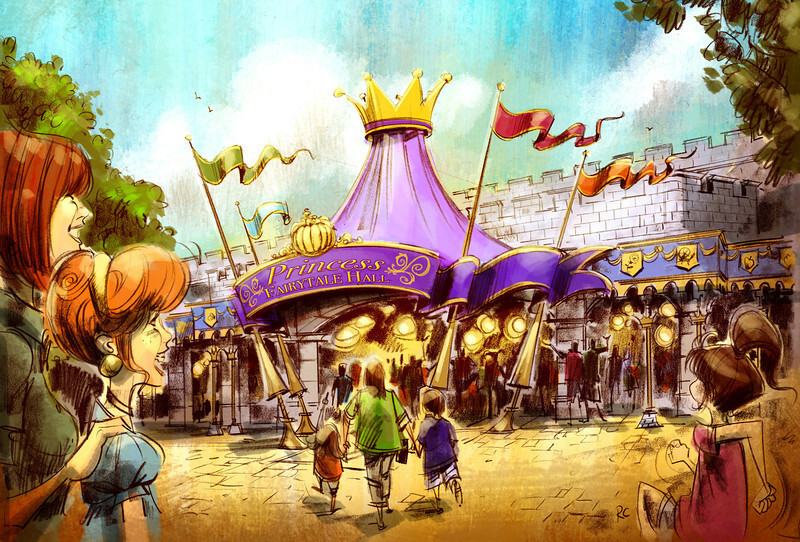 This new piece show what the interior may look like when the experience opens in Fall 2013. 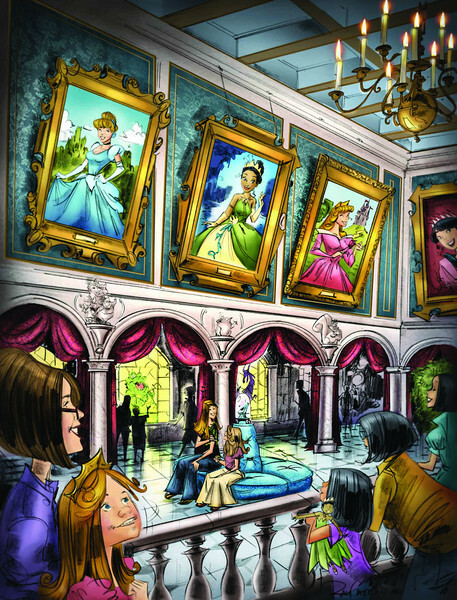 If it stays true to this artwork, we can expect to see each Princess below a portrait of themselves and in front of a stained-glass window that represents something from their respective films. If you look closely, you’ll also see statues representing characters from Cinderella, Princess and the Frog, and Sleeping Beauty. 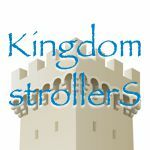 Has is been confirmed if Snow White will be meeting here or if she'll be somewhere by the mine train? Also, Mulan has a portrait. Will they include her and Pocahontas?